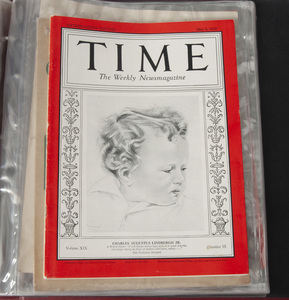 The most extensive collection of Charles Lindbergh and other early aviation material ever offered for sale. Opens Wednesday, August 21, 2018 at 10:00 a.m. Closes Wednesday, September 5,2018 starting at 10:00 a.m.
Gallery Preview: Tuesday, August 28, 2018 from 1:00 p.m. to 4:00 p.m. This auction comprises literally thousands of items including many that are rare, unique and sometimes rarer and in better condition than some housed in National collections. From nearly life-sized dolls to a broken propeller from one of the planes used where and when Lindbergh trained (and crashed), to toy dirigibles and Spirit of St. Louis'. 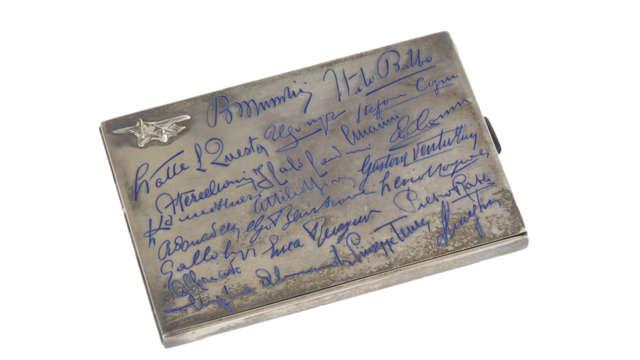 This collection has a vast number of artifacts relating not only to Lindbergh, but also to other famous early fliers and heroes, including Amelia Earhart, USMC Fighter Ace Joe Foss, Eddie Rickenbacker and others. Exclusively on bidsquare.com.